VeloCloud Launches a SD- WAN Security Technology Partner Ecosystem! – CT Link Systems, Inc.
VeloCloud Launches a SD- WAN Security Technology Partner Ecosystem! The SD-WAN market is growing at a very fast pace. It is estimated to exceed $6 billion in revenue worldwide by 2020 while still compounding an annual growth rate of more than 90% over a forecast period between 2015 to 2020. By 2018, it is also expected that about 82% of North American enterprises will be using SD-WAN which is remarkable considering the technology is still in its early days. With the option to choose what kind of link is best in a given situation (MPLS, broadband, LTE, or any combination of these), besides optimizing your WAN link, you will also be able to provide additional capacity to avoid blackouts and brownouts. With such features, VeloCloud makes sure to take the necessary steps to ensure that your data will be secure when using its comprehensive SD-WAN solution. 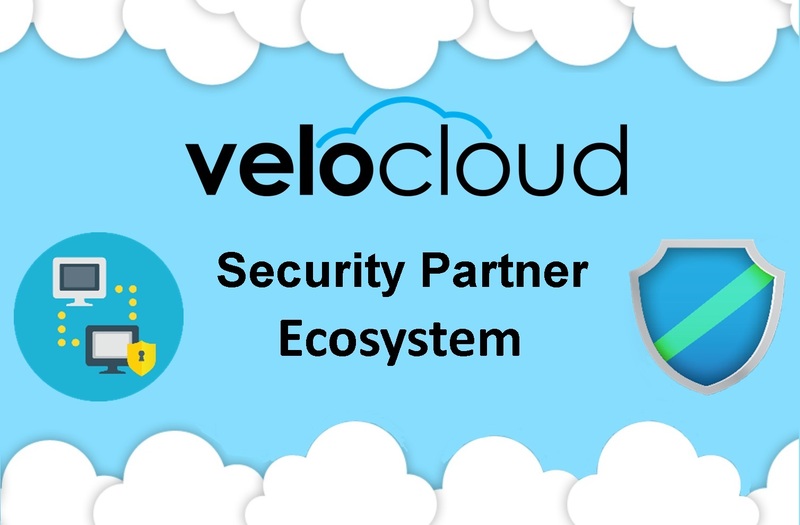 Recently, VeloCloud has taken a big step towards a more comprehensive security ecosystem which it calls the “SD- WAN Security Technology Partner Program”. A multifaceted effort of collaboration between a wide range of technology companies to help protect users’ branch, data center and cloud networks which results in a top notch end-to-end security option for SD-WAN which seamlessly includes both on premise and cloud networks. Partners are given access to VeloCloud’s APIs through a formal software development kit which helps simplify the process for partners who are interested in developing security solutions for VeloCloud’s SD-WAN architecture. VeloCloud has also opened up a virtual network function (VNF) framework to its partners in the security ecosystem to help develop their own security VNFs within its framework. VeloCloud also allows for cloud security by allowing third party security vendors to bring their own services into marketplaces operated by service providers such as Azure and Amazon. Besides the security ecosystem, VeloCloud also has its own security capabilities which are integral parts of its SD-WAN architecture. One example would be its zero-touch deployment model in which you can be shipped a non-configured VeloCloud edge to any of your branches or remote locations and once connected to your link it will securely authenticate and encrypt across your network. With its unique way of key management for vCPEs on your network, it will be able to help check your tunnel integrity while helping with scalability and your dynamic multipath VPN. To learn more about VeloCloud’s security, please read the article here!